This 1999 Release Contains 17 Tracks Including Jimmy's "The Fairest Of Them All" That Was The Original 'A' side Of The "Whispers (Getting Louder)" Release Brunswick # 55300. But When Nat Turnapol Relised He Didn't Own The Publishing On The Song He Flipped The Songs And The Rest Is Music History. This 1995 re-issue of this Arpil 1967 release Contains the hit "Help Me Girl" UK#14, US#29. 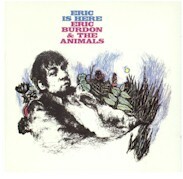 (Though The Actual Recording Isn't Really The Animals It Was Done With Burdon In New York With session Players Lead By Jazzman Benny Golson) Also Notable Is That It Contains The Original Version of The Randy Newman Song "Momma Told Me Not To Come" and a cover of The Radcliffe-Brooks Song "It's Been A Long Time Comin'" originally cut by Adam Wade on Epic. This 1996 Compilation Of Tracks From Various Liberty EP Releases From James Marcus Smith aka Jet Powers aka P.J. Proby Is Quite Remarkable In That It Showcases Proby's Incredible Versatility As A Singer. Though Best Known For His Overly Theatrical Vocals, Onstage Trouser Splitting And Other Scandalous Endeavors, Proby Did Cut Some Admirable Sides. His Cover Of "Maria" (from West Side Story) Is Beautiful, The Jack Nitzsche Production Of The Goffin-King Song "I Can't Make It Alone" And His Reading Of The Stern-Radcliffe Song "I Love, Therefore I Am" Is Inspired. This 1991 Greatest Hits Compilation Contains 9 Of Clyde's Hits And Three He Had With The Drifters. Of Course My Concern Is With The Spencer-Radcliffe Song "Deep In The Heart Of Harlem" Eventually Covered Both By Walter Jackson (Okeh) And Johnny Nash (RCA). This 1993 United Artist Release Features Some Of Mimm's Best Waxings From Three United Artist Albums "Cry Baby", "As Long As I Have You" and "I'll Take Good Care Of You". The 1963 release Of The "Cry Baby" album featured the Oramay Diamond - Jimmy Radcliffe Song "The Truth Hurts (But Not As Much As Your Lies)" As The First Track On Side 'B' Though the Song "Run Away Lover" Was Listed On The Cover. This 1997 Atlantic 2 Disc - 40 Track Release With Liners By Noted Historical Bloke David Nathan Is The Definitive Collection On This Nitty Gritty Songstress. All The Hits And Obscurities Together In Absolute Brilliant Form! Track 2 On Disc 2 Contains Esther's Reading Of The Buddy Scott-Jimmy Radcliffe Song "Try Me". 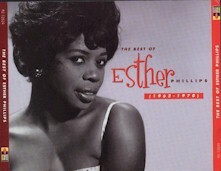 'Try Me' Was Also On Atlantic Release # 81662-1 "Esther Phillips - Set Me Free" (1986) As Was The Song Also Covered By Ruby Winters on Diamond.